A loan of $400 helped a member to purchase a solar light and gain access to cost efficient hybrid seeds and fertilizer for maize cultivation. Phanice is 48 years old and is often described as a very hardworking individual. She has four children and is married. As a group leader, Phanice is representing her group of nine farmers in the Chwele District in Kenya. She is very excited to be working with One Acre Fund for the first time this year. The decision to join One Acre Fund was largely a result of Phanice's desire to earn enough to feed her family. 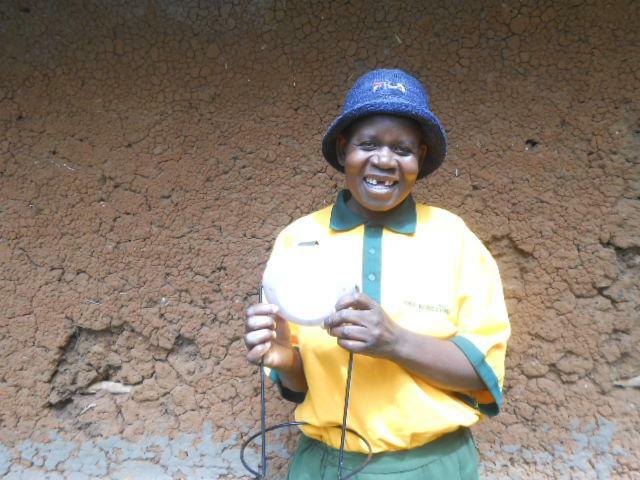 Apart from receiving farming inputs, she is also purchasing a solar light as part of her loan. This is very exciting to her as she will now be able to have light during dark hours for her children to be able to study. With the profits that she gains from this year’s harvest, she plans to send her children to school. Phanice and her group will receive a total of seven solar lights as well as input loans of maize and fertilizer to plant a total of 4.5 acres.